October 23, 2013 - Phnom Penh. Photographers and videographers prepare their cameras, minutes ahead the beginning of the first day of protest CNRP party organized at Freedom Park. © Thomas Cristofoletti / Ruom 2013. October 23, 2013 - Phnom Penh. Cambodia National Rescue Party supporters cheer CNRP party leader, Sam Rainsy. © Thomas Cristofoletti / Ruom 2013. October 23, 2013 - Phnom Penh. CNRP leader, Sam Rainsy addresses supporters during a rally in Freedom Park. © Thomas Cristofoletti / Ruom 2013. October 23, 2013 - Phnom Penh. Thousands of SNRP supporters marched to the UN OHCHR. headquarter to deliver a petition with 2 milion thumbprints they recollected in the last few weeks. © Thomas Cristofoletti / Ruom 2013. October 23, 2013 - Phnom Penh. 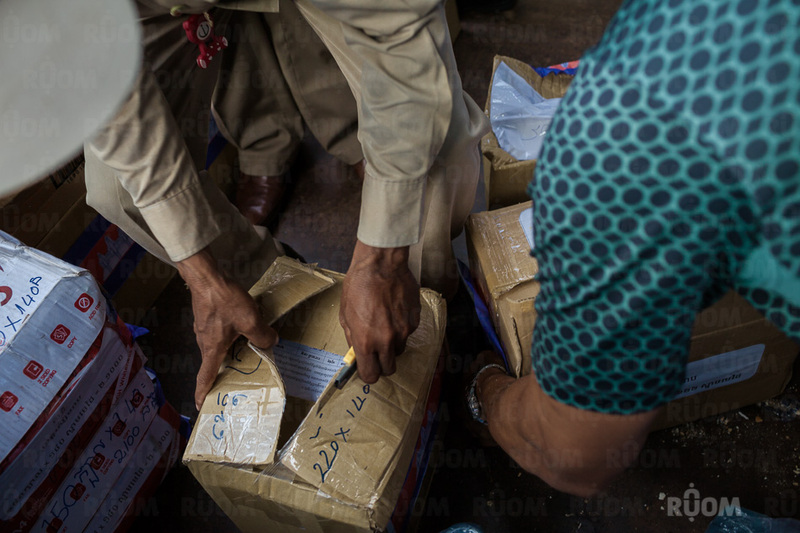 CNRP supporters deliver signed petitions at the UN OHCHR headquarter, alleging voting irregularities in the July 2013 parliamentary elections. © Thomas Cristofoletti / Ruom 2013. October 23, 2013 - Phnom Penh. CNRP leader, Sam Rainsy addresses media outside the UN OHCHR office. © Thomas Cristofoletti / Ruom 2013. October 23, 2013 - Phnom Penh. Riot police watches over CNRP march in front of Indipendence Monument. © Thomas Cristofoletti / Ruom 2013. October 23, 2013 - Phnom Penh. CNRP supporters head back to Freedom Park from UN OHCHR office. © Thomas Cristofoletti / Ruom 2013.